The internet's meme world is a never disappointing world. Guilt-free filled with fun and humour. The recent meme that is doing rounds on Twitter will help you express yourself in the most fun way. The latest one to add to the list of most fun memes is the pregnant meme that is making people imagine themselves in their mother's belly. Yes! The meme consists of a template of a woman's belly inside which people are adding what they think they would have looked like inside their mothers' bellies. The results are super funny! 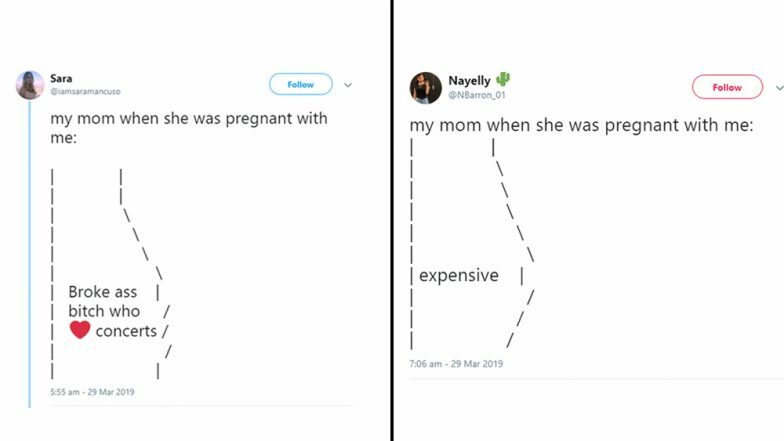 The pregnant belly meme is an evolution of the flat stomach meme which was an ASCII attempt of depicting a side profile of someone's body started late last week by Twitter user @itsJWolfe. Another personal attack, I am dying. These memes have left me wondering what would my version of pregnant belly meme look like. What about you?